From the moment you step on board a Qantas flight, you’ll discover the joys of warm Australian hospitality – shaped by almost 100 years of flying. You can expect outstanding service, four spacious cabin classes, delicious cuisine and excellent inflight entertainment options – and it’s hard to imagine a better way to travel. The return of Singapore as a stopover destination – as well non-stop flights from London Heathrow to Perth – mean there are now more ways to fly to Australia. Double daily flights take off from London Heathrow to Sydney, Melbourne, Brisbane and Perth – and daily flights run to Adelaide and Singapore, too. If you wish to fly via Dubai, you can do so with Qantas’ partner airline, Emirates. Flying on our award-winning A380 gives you the chance to enjoy a stopover in spectacular Singapore. 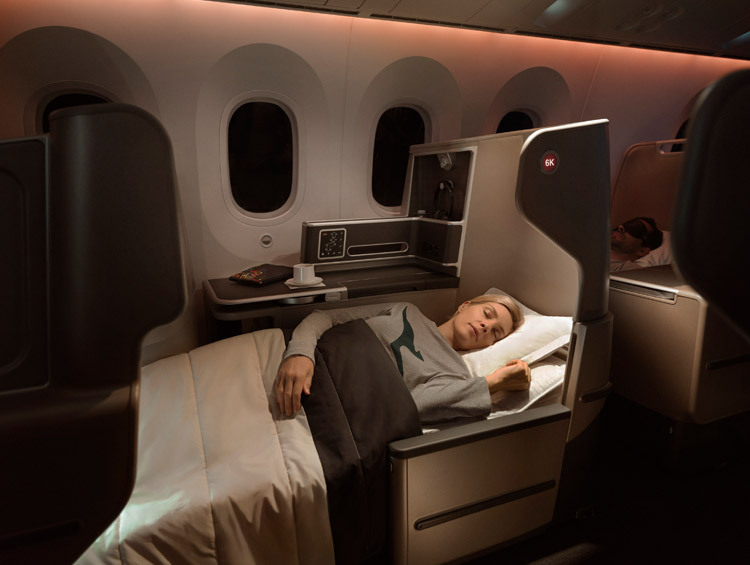 Stretch out in Business on your fully flat Skybed (be sure to slip into a stylish pair of Qantas pyjamas, available on overnight flights) and you will arrive at your destination feeling totally refreshed. Feel free to discover our A380 Premium Economy cabin, complete with its private upper-deck cabin, exclusive Rockpool-inspired menu, bigger seats and extra legroom. Or, for the epitome of luxury, fly in First to enjoy your own personal suite, an eight-course tasting menu and award-winning Australian wines chosen for you by the Sommelier in the Sky. You can also select a direct flight to Australia on our most technologically advanced aircraft yet: the Qantas Dreamliner. Creatively designed for maximum passenger comfort and minimal environmental impact, this is a flight experience unlike any other. You can expect larger windows, improved air quality and extra space throughout all cabins – all helping to minimise jet lag and improve the customer experience. 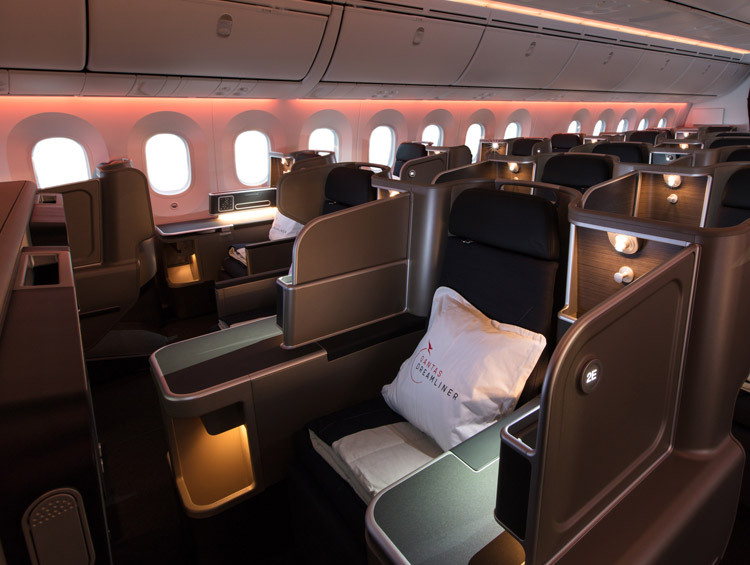 Take your pick from Business Suites, brand-new Premium Economy or the new Advanced Economy. Whether eligible customers dine in the new Qantas London Lounge or in the air, our seasonal menus are inspired by cuisines from around the world – and they feature a tempting range of new dishes and signature favourites made with the freshest ingredients. When it’s time to relax onboard, you can sit back and choose from over 1,500 movies, TV, boxsets and game options on the inflight entertainment system. From take-off to landing, enjoy an unparalleled travel experience with Qantas, the Spirit of Australia.